Yaesu FT221R 144MHZ All Mode (owned since beginning of my Amateur Radio career in 1978), now retired. But still occasionly used as IF rig behind a SHF transverter. 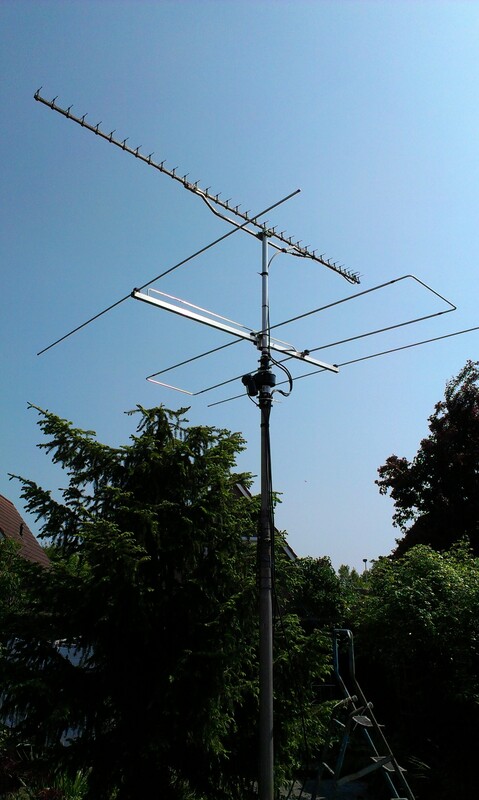 Tower: A small telescopic mast in my backyard, with a AlphaSpid RAK rotator which turns my 3el LFA-50MHz and a 35el FT9FT for 23cm. Top-Height usually restricted to 5m (not very good for SHF). 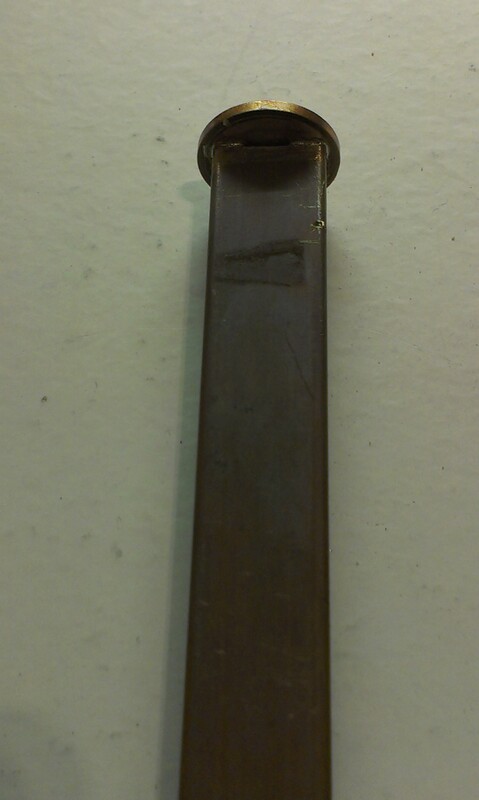 Feeder: 1/2 inch Flex, 10m long. -40dB Directional Coupler in UT-141 Semirigid, with AD8319 and ADL5902 log power detectors for Output power and Reflected power measurements. HEMT-LNA (Nf < 0,4dB) with NE32548, design by DJ9BV (DUBUS). 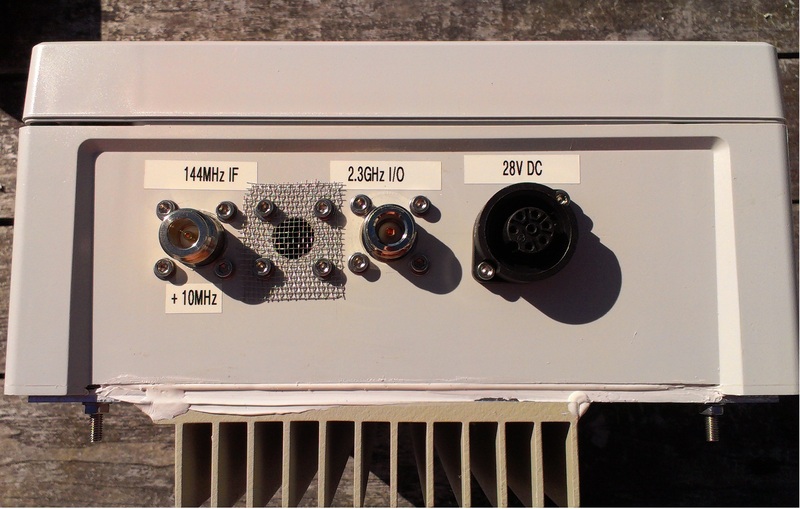 Update 31/07/2013: Re-housed the complete transverter in a Fibox IP68 ABS housing, to enable mounting in tower close to the antenna. Waterproofing finished. Trying best fit of all parts in box. SSPA bolted on bottom plate SSPA on bottom plate with heatsink on outside. Note the venting hole covered with fine mesh to prevent insects from entering the box. Sequencer PCB and IF input circuit are still prototypes..
Antenna: 20dB horn mounted directly on transverter box, when used at home QTH (pointing out the window in the attic). 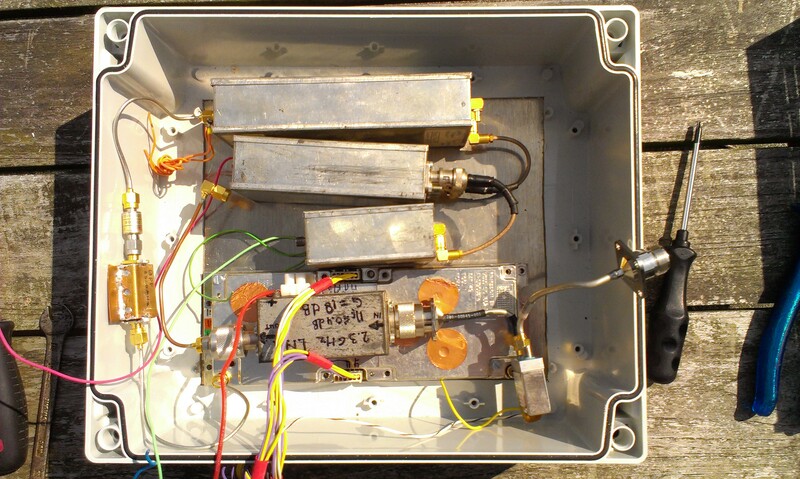 Currently I'm preparing a second 10GHz station, for permanent use at PI4Z club. 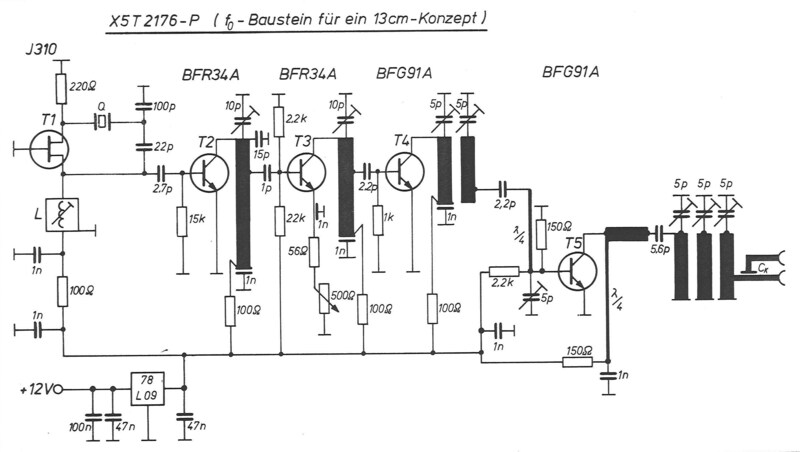 Power amplifier: 37dBm with < 10dBm input (ex. TV broadcast link). 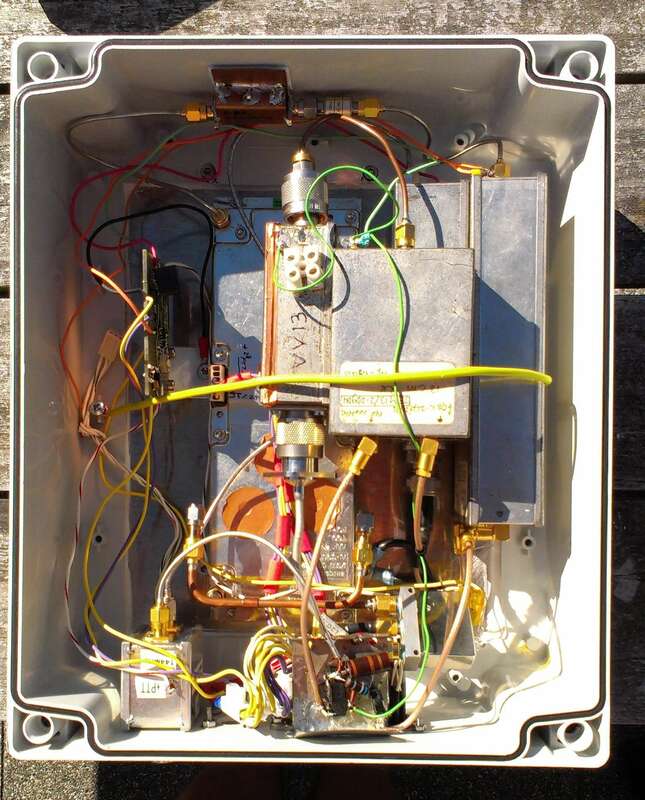 To be able to receive the 24GHz beacon, Bart pe1pfw has lent me a small transverter. 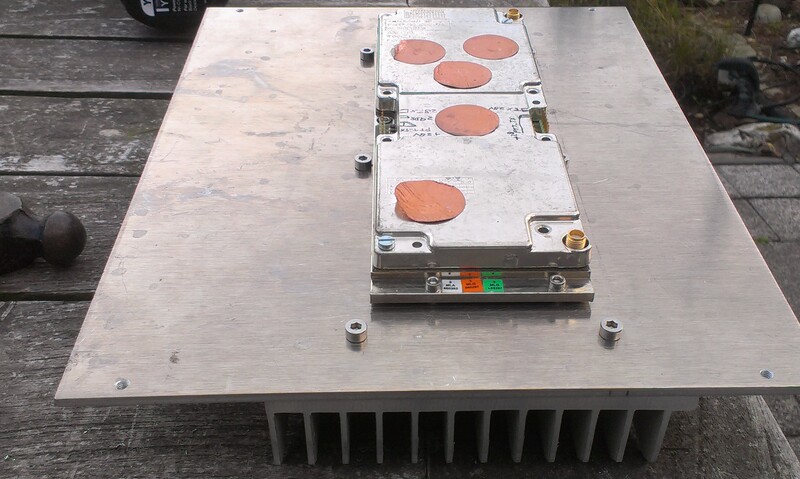 This consists of a DB6NT MKU LO 12 PLL (option 02) and a 24GHz MK3 transverter module with waveguide bandpass filter and a 24GHz LNA. 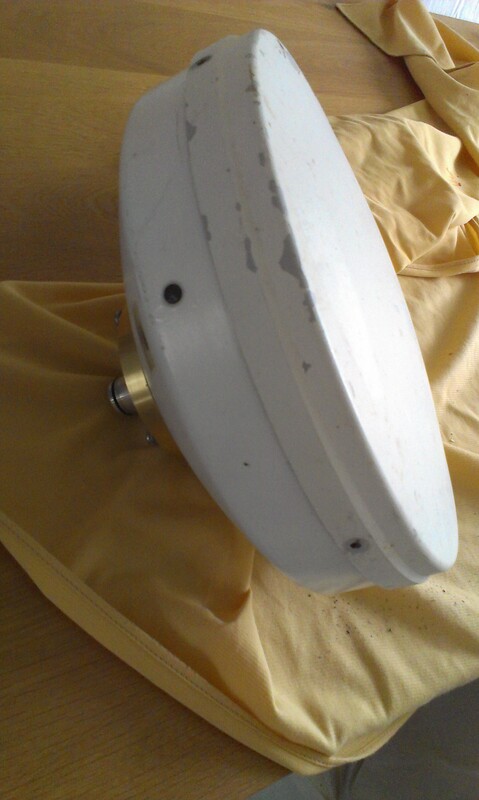 Antenna: 33cm prime-focus dish (former 38GHz telco link). 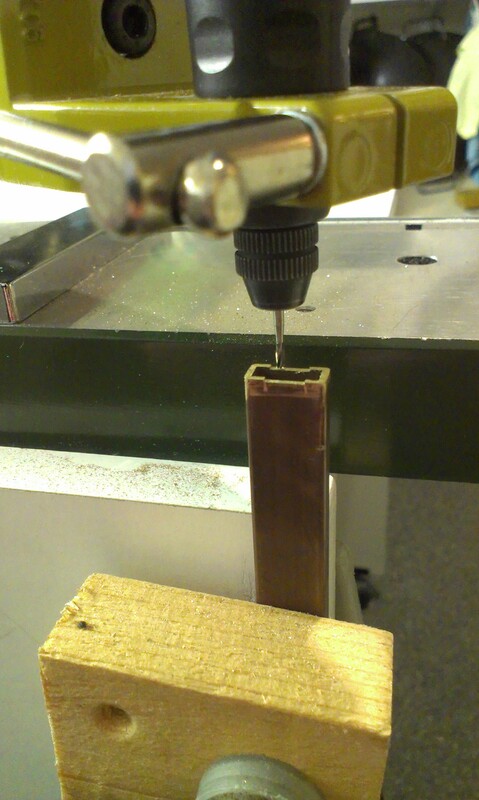 To use at 24GHz, a simple penny feed on the end of a piece of WR-42 will be made. 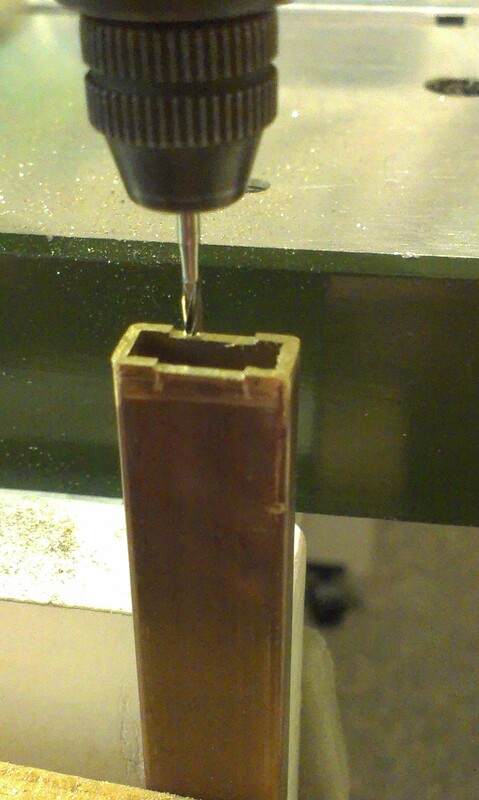 Milling 6,2 x 0,5mm slots in the wide sides of one end of a piece of WR42 waveguide. 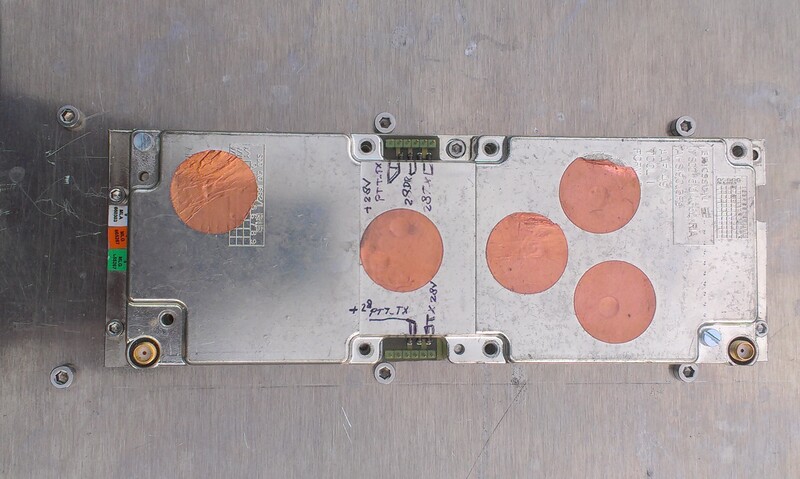 Then solder a 1-Eurocent coin to the waveguide, using solder-paste and a hot-air gun. 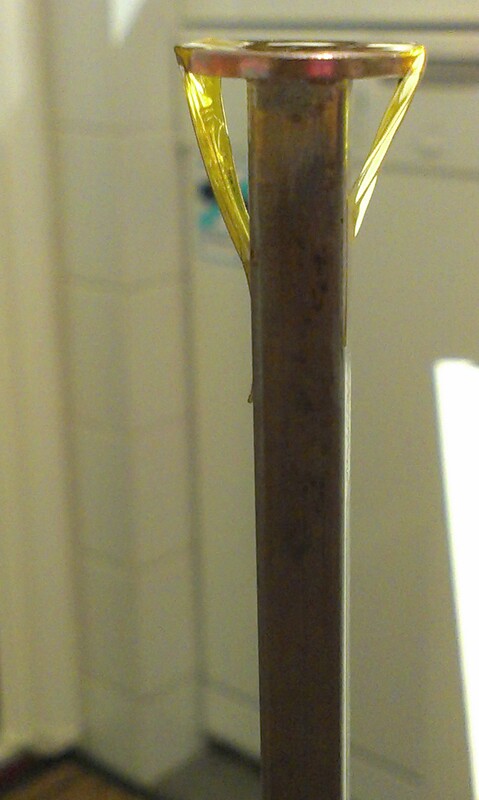 Kapton tape was used to hold it in place while soldering. 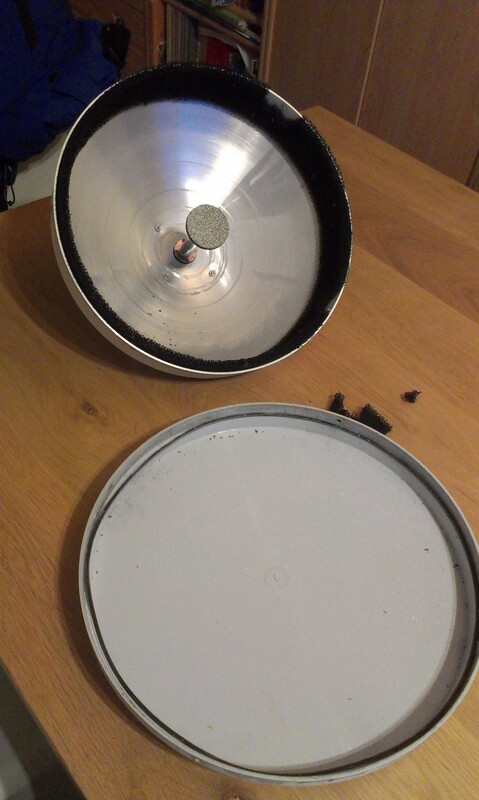 The returnloss of the feed, mounted in the dish, without any matching/tuning screw was determined to be ~10dB by Jos at Heelweeg Microwave meeting 2014.